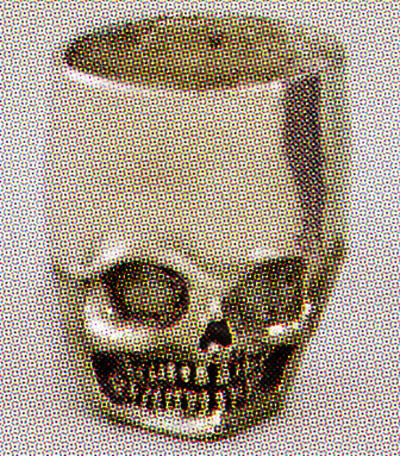 When you're cheating death this grinning skull makes the perfect shot "glass". We make it by hand from lead-free pewter so it's perfect for any cool liquid. It holds one-and-a-half ounces when filled to the brim, so it's a very large "shot". Design by Chris Knight. Hosting by Ghostwheel.